Around 300 delegates attended the second annual conference held by the Heart of the South West Local Enterprise Partnership, at Sandy Park in Exeter on Monday 3 October. The Conference was an opportunity for the wider LEP partnership – which includes public, private, education and third sectors in Devon, Plymouth, Somerset and Torbay – to meet and to network with other stakeholders and consider the productivity challenge the area is facing. The event also enabled speakers and delegates to look at other key issues for our area, including Brexit and Devolution. The launch of the Growth Hub – a service to help any business start-up and grow. An update on the half a billion pound investment programme which is delivering a range of infrastructure and other projects to help growth. A Local Authority led Devolution Prospectus has been submitted to secure more powers and funding for the area. The third bid for £109 million of Growth Deal funding has been sent to government. 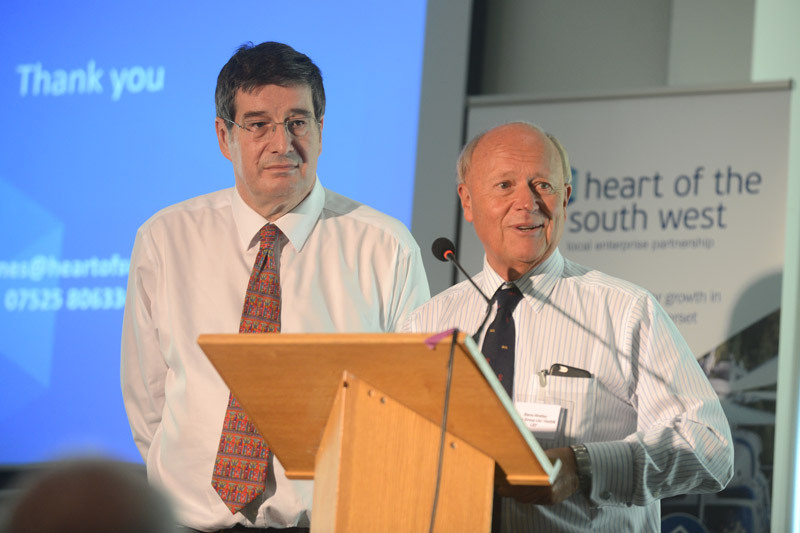 Steve Hindley, Chair of the Heart of the South West Local Enterprise Partnership, said: “I am very pleased to see such interest in our Annual Conference from such a broad range of partners. “The Heart of the South West is on the verge of transformational change, and we’ve made some good progress with investors and government this year to realise that change and fulfil our ambitions. It’s good to share this success with the stakeholders in our area, many of whom have been instrumental in our progress.